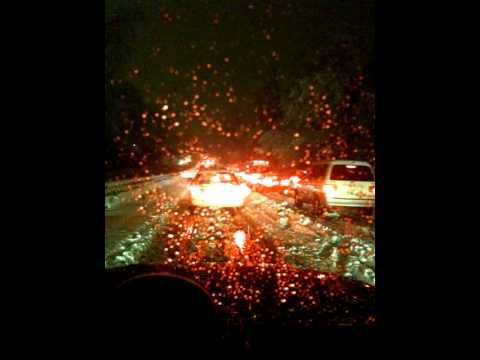 I stumbled across this video on YouTube of tickman1′s commute home last night. It took him 8.5 hours to travel 23 miles from DC to the VA suburbs. Fortunately, the pilgrimage has been sped up and condensed for our viewing pleasure. Warning: For those of you who braved the roads last night, this video may cause panic attacks, claustrophobia or heart attacks. Slander us for putting up with crime and Vince Gray, an uncertain school system (as if the burbs are better, but hey)–but we gentrifiers didn’t have to put up with that. And we never lost power.